Ever feel like you are in a marketing whirlwind, stuck in a never-ending cycle that has you working like a dog but never really achieving measurable, scalable results? Marketer discovers a shiny new marketing strategy (Must.Try.Now). Marketer tries new strategy hoping it is the “one” that will be the game-changer. Marketer sees some results, but they fizzle out. Marketer contacts specialized consultant to help with said strategy. Consultant helps with new strategy without looking at any data and promises the moon and the stars (and maybe a few page 1 Google rankings). Three months later, Marketer is out thousands of dollars with no results to show for it. Sound familiar? Twenty-five strategies and 10 consultants later, and you still probably have no idea which ones really work, and if you do know, scaling them into repeatable profit-driving strategies can seem next to impossible. The cycle has to end. And the one thing that will halt it in its tracks is DATA. We eat, breathe and sleep data over here at Viral Solutions. Why? Because there’s no sense in wasting time on shiny new strategies if they won’t move your bottom line. Our clients expect results, and we aim to deliver. You want more revenue, right? Then you have to look at data and give your customers exactly what they want so they can give you exactly what you want: SALES. What Is Data-Driven Marketing and How Can It Increase My Bottom Line? Data-driven marketing relies on customer transactional and behavioral data to influence and predict future marketing strategies. The final result is a greater customer experience that leads to higher sales and increased ROI. Data could be the very thing that stands between you and an organized marketing campaign that pumps out repeatable, scalable marketing strategies that yield demonstrable results. Data is a powerful, highly untapped resource that can turn a mediocre marketing strategy into a highly targeted, sales-driving machine. Sound exciting? That’s because it is. 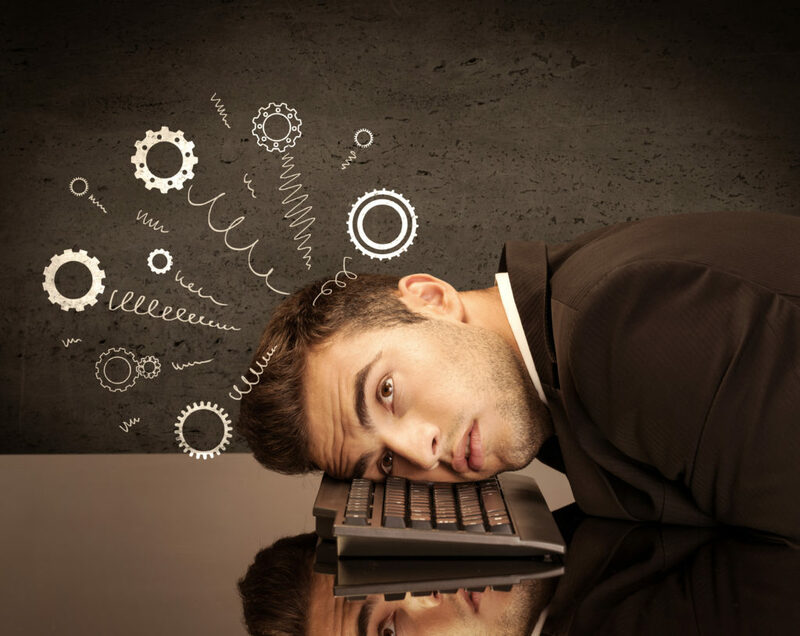 Data, metrics and analytics are a dream come true for marketers. But, there’s one problem…not all marketers use it. In fact, a whopping 87% of executives say that data is the most underused marketing asset. The reality is that few marketers understand how to use data effectively. We can’t lie. 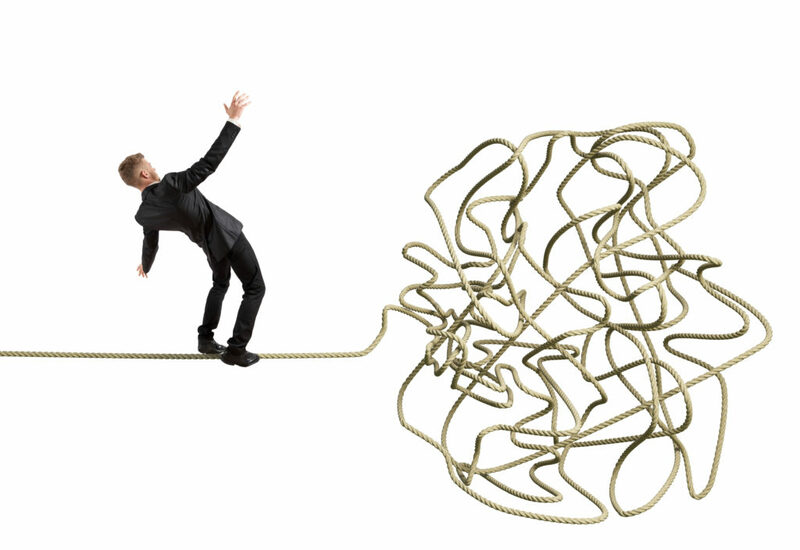 Working with data is not as easy as we wish it were. But, like anything in life, skills can be learned. Remember the first time you saw an algebraic equation? It looked like a foreign language, right? But, as you learned, you were able to make sense of x and y and it didn’t seem so difficult anymore (hopefully). Don’t be intimidated by data-driven marketing, metrics and analytics. You don’t need to be a statistician to understand and apply data (that would definitely help though). In this article series, we will help you understand these complexities and break them down so you can apply them to your business. What does data even look like? We just gave you the textbook definition of data-driven marketing and discussed some of its complexities, but what does data really look like? What do you actually measure? In a nutshell, the data we are referring to are the insights you glean from customer behavioral and transactional data. It’s the data that reveals where your targets live, what they like and hate, where they shop, their online behavior, purchase history, where they engage and interact and so much more. Marketers use this data to create and/or improve marketing strategies and predict future behavior. With data, you can stop throwing money at random marketing tactics wondering when you will ever feel like you have your marketing feet on solid ground. This is no way to run a scalable, profit-driving marketing campaign. To be successful with data-driven marketing, you need to know not only how to get the data but also how to analyze it, pull winning insights from it and then apply this to your marketing efforts. It’s a hefty feat but, in this article series, we will do our best to disseminate to you exactly how to do it successfully. With more laser-targeted focus, you can go from throwing every tactic against the wall to see what sticks, to knowing exactly which one will stick and why. 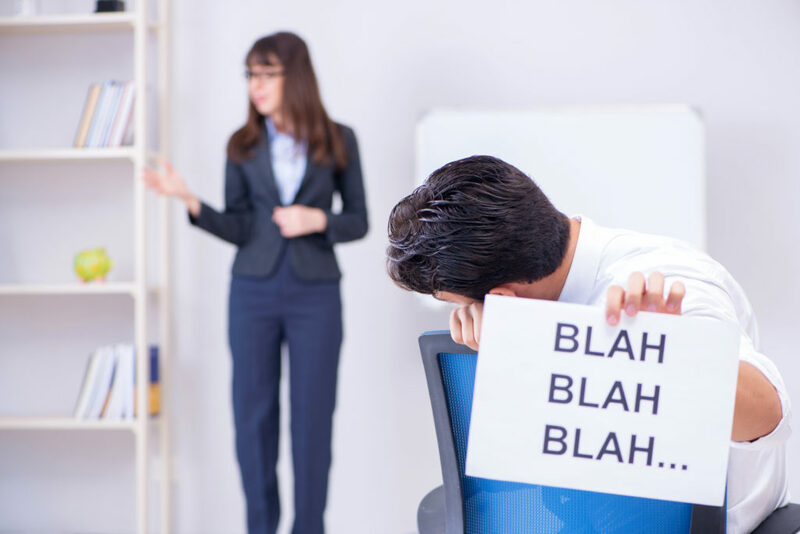 Stop wasting time and money on tactics your customers won’t respond to. It’s time to look at data. How can data-driven marketing benefit my business? Businesses typically use data-driven marketing to personalize and improve the customer experience, but any data-driven marketing strategy can lead to higher conversions, increased customer loyalty and overall market growth. A five-year McKinsey analysis showed that companies that focus on data for their marketing and sales improved their marketing return on investment by 15-20 percent. This equated to an estimated $150 – $200 billion per year. Marketing relevance simply means that you give your customers a personalized experience and deliver exactly what they want at the right time. This leads to higher conversions. Research shows that using personalization in marketing can boost marketing spend ROI five to eight times and increase sales 10 percent or more. In the past, marketers would cast a wide net and try targeting all of their customers simultaneously with their marketing strategies, but this is not recommended (this is the opposite of relevance). Your competitors may already be using data and personalization to capture customers. If you aren’t following suit, you will be outperformed. If they aren’t, you will gain a competitive advantage by leveraging data. We live in a microwave generation and we want results fast. Personalization will deliver results that connect to your customers thoughts and emotions right away without them needing to search your website. How can you use data to personalize marketing and improve conversions? Since 2013, Amazon has been personalizing customers’ shopping experiences. The ecommerce giant does this by matching your search and product history to introduce you to new products you may be interested in purchasing. 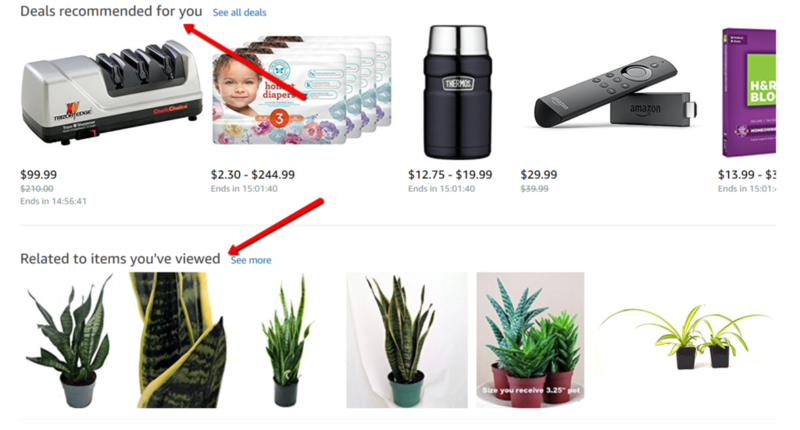 When you land on your Amazon homepage, every row is filled with personal recommendations based on your browsing history, purchases, wish list and other personal interests. If personalization weren’t such a valuable approach, Amazon would not be investing in it. The good news is that you don’t need to be Amazon nor have Amazon’s budget to use customer data to fuel your marketing. In this series, we will talk about how any business, regardless of the size, can analyze and leverage data to create better customer experiences and more meaningful, deliberate marketing strategies. It can be time-consuming and downright frustrating to try tactic after tactic and not really know if they are scalable and repeatable…or if they will fall flat. Will they really move your bottom line? Or just chomp away at your marketing budget? You can run data-driven strategies on autopilot which will free up more of your time to invest in optimization and testing instead of well-meaning daily whiteboard meetings that seem to go nowhere. Data will inject some purpose into each marketing tactic and provide a framework so you can optimize every minute spent on your marketing campaigns and not waste a second more. Are you using email marketing in your campaigns? Great. Are you using only email marketing in your campaigns? Not so great. Your customers frequent multiple places and checking email may not be on their high priority list. Successful marketing has leaped far beyond a once-a-week email. Multidimensional campaigns facilitate consistent customer communication across multiple channels. Data allows you to target these consumers across multiple channels and reach them wherever they are with consistent, aligned messaging. Customer service has become tougher than ever. Consumers are expecting to be delighted and amused and “above and beyond” has become the perceived norm. Data gives marketers the resources to pinpoint exactly what people expect of their products. This information births amazing customer experiences that create lasting customer-brand connections and loyalty. The overall result? Increased sales, brand awareness and happiness from the people you service. We will discuss customer experiences more in future articles in this series. What are the challenges of data-driven marketing? 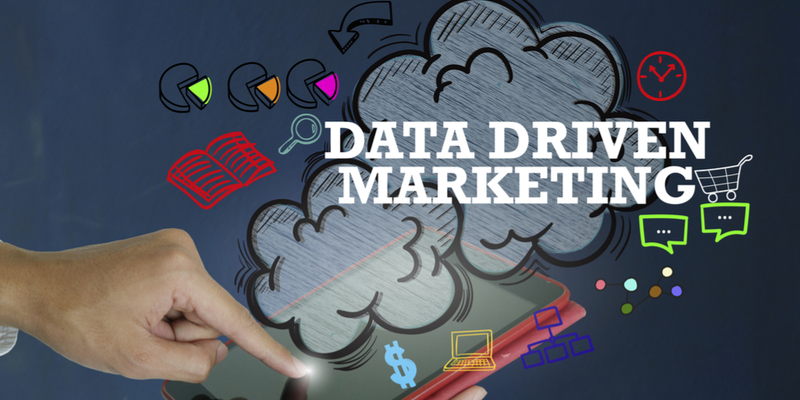 Data-driven marketing sounds awesome, right? Well, it is. So, then why isn’t everyone using it? Anything worth value takes some time, effort and resources to build, and data-driven marketing strategies are no different. Here’s some of the challenges businesses face that either hinder their efforts or derail their data-driven campaigns altogether. In an Econsultancy study, 55% of respondents stated that a lack of data integration presented a significant or critical negative impact on their organization. Maybe you have a Google Analytics account, an email marketing program and a social analytics platform. It’s common for customer data to sit in these separate locations or silos and never the two meet. But, to create an optimal experience for your customers, you may want to integrate your data. Let’s say you are sending cart-abandonment emails but you want to make your messages more relevant to increase conversions. To do this, you could leverage web analytics data, but you would need to integrate your web analytics into your email system to execute this. Or maybe you want to personalize your marketing but you need data from multiple channels to do it successfully. ALL data has the potential of impacting your marketing tactics, but the full potential of this cannot be realized unless the data is integrated. You will need a single customer view to get the value out of the data. Though integration is a complex issue that requires some technical know-how, we will briefly discuss it in a later article in this series. Data-driven marketing requires 100% commitment—for the long haul. Businesses that launch data-driven marketing campaigns with quick-fix expectations will be disappointed and will most certainly give up. If you aren’t fully committed to creating a cohesive data-driven marketing campaign with the goal of improving as you go and leveraging the tools and resources you need, it will be a waste of time and money to start. Don’t kid yourself. If you don’t have the time to start something new, you won’t have time to look at the data. If you do not have enough time but you still want to outperform your competition and boost your marketing spend ROI, consider working with professionals who know how to leverage data and get you the results you expect. Gathering data, reviewing and applying it to marketing strategies will be a learning experience and challenging at times, especially for newbies. But, it CAN be done. Once you reap the reward of one data-driven strategy and you see its potential, you will understand why the reward outweighs the work. You can do it and in this article series we will help you get started. Ready to Start Digging into the Data? Data is the new marketing. It’s hot. It’s fierce. And it’s not going anywhere. It can supercharge your marketing campaigns and laser focus your efforts so every minute you spend on your marketing is optimized for your benefit. Are you ready to dig into the data with us? In Part 2 of this data-driven marketing article series, we will take a look at the data-driven marketing model and outline the steps required to get the process started. See you there!